For many Americans, the first of the month means one thing: Rent is due. If you already feel like you pay your landlord too much, we come bearing bad news: A recent report states it might get worse. “The number of U.S. households that spend at least half their income on rent… could increase 25% to 14.8 million over the next decade,” Bloomberg reports. Eek. Spending half your income on rent is a scary prospect because it leaves little room for other necessities — like saving for retirement, emergencies and college. If you’ve found yourself paying more and more for rent over the past few years, now’s the time to start making changes. A guaranteed way to save money on rent? Moving to a cheaper city or state. Try one of these affordable small towns, cities for working parents or cities for singles. And check out these cities that will actually pay you to live there. Want to stay in your neighborhood, but still cut costs? Get a roommate — or three. Not only can you get more space for less money, you’ll also have people with whom you can share the cost of utilities, furniture and maybe even food. To help mitigate the costs, you could become a landlord yourself by purchasing a duplex or renting out rooms in your new home. What skills do you have that your landlord might need? Maybe you could build a website that showcases all of her available properties or paint the exterior of the building. Think about what you have to offer, then barter with your landlord for a lower monthly rent. Using a site like Airbnb, you can rent anything from a couch to an entire house. It’s important to tread carefully, though; many leases don’t allow for subleasing, and you could face eviction if your landlord finds out. We’d recommend discussing it upfront (and perhaps splitting the profits) rather than trying to go behind his back. Don’t let rent ruin your budget. If you’re willing to make a few sacrifices or changes, you’ll discover ways you can pay your rent and still have a life. 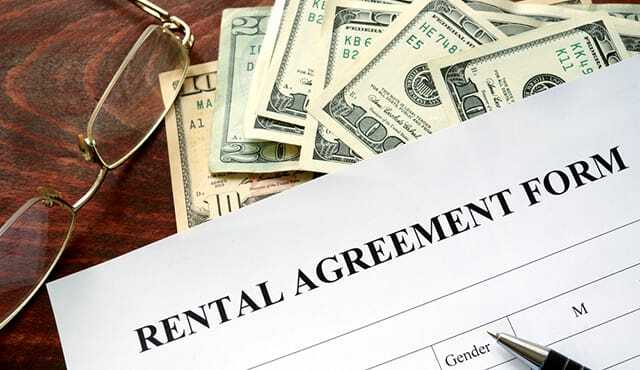 Your Turn: Do you pay a boatload for rent? How does it affect your finances?